VD001 - deacon vestment embroidered rich burgundy velvet with gold lace pattern with grapes, ears , cherubs . 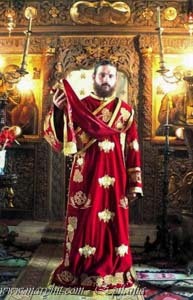 VD002 - Deacon of the garment and silk Greece , crosses woven garnet . 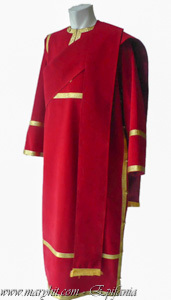 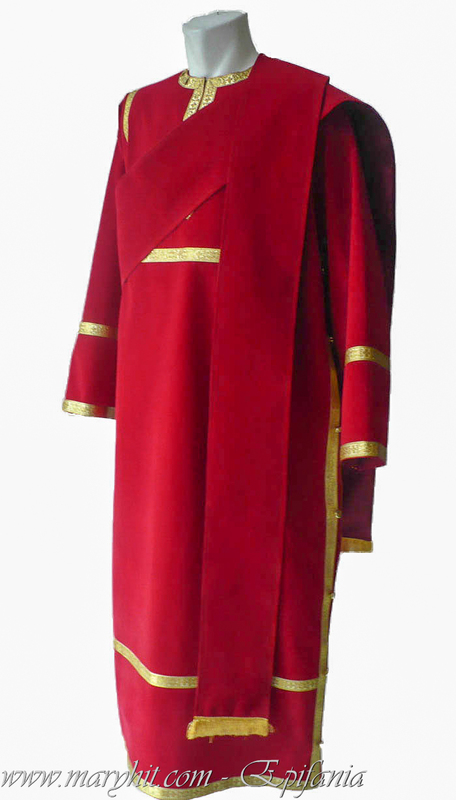 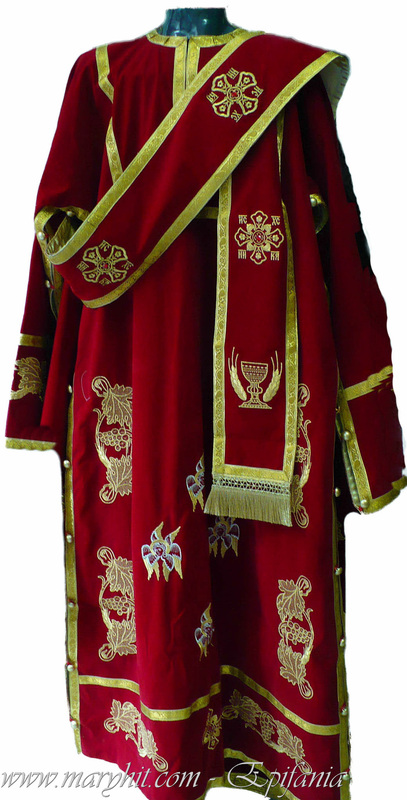 VD003 - deacons vestment of red velvet . 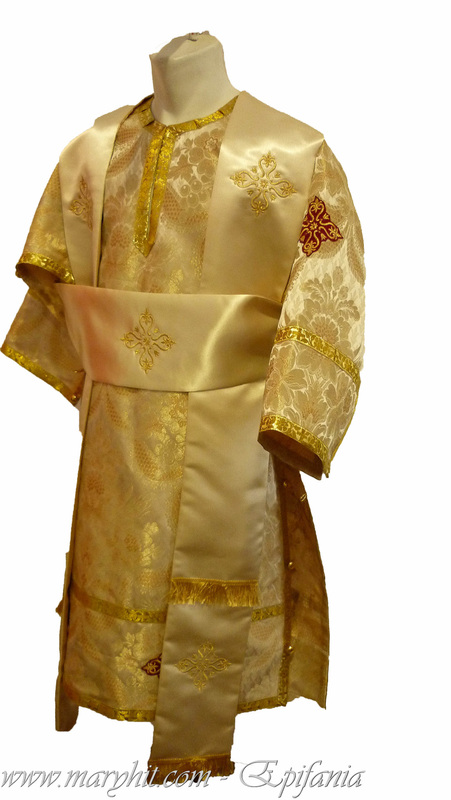 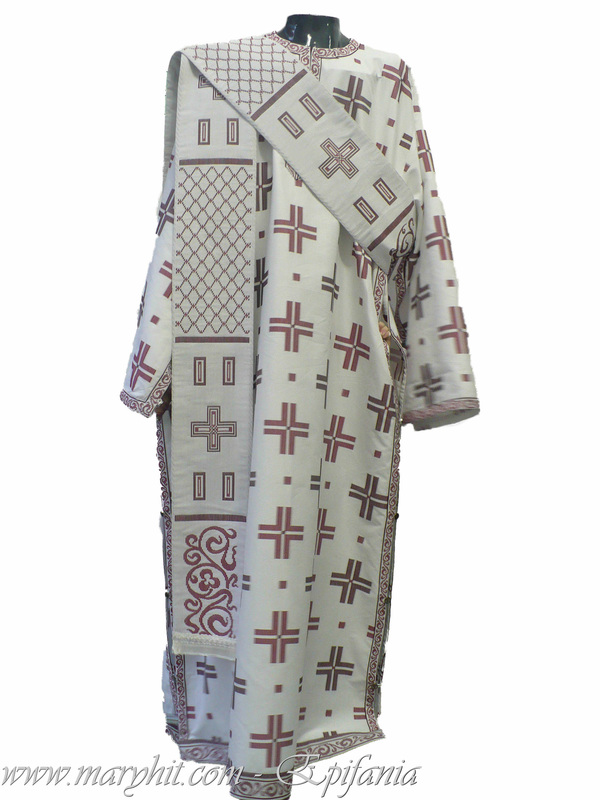 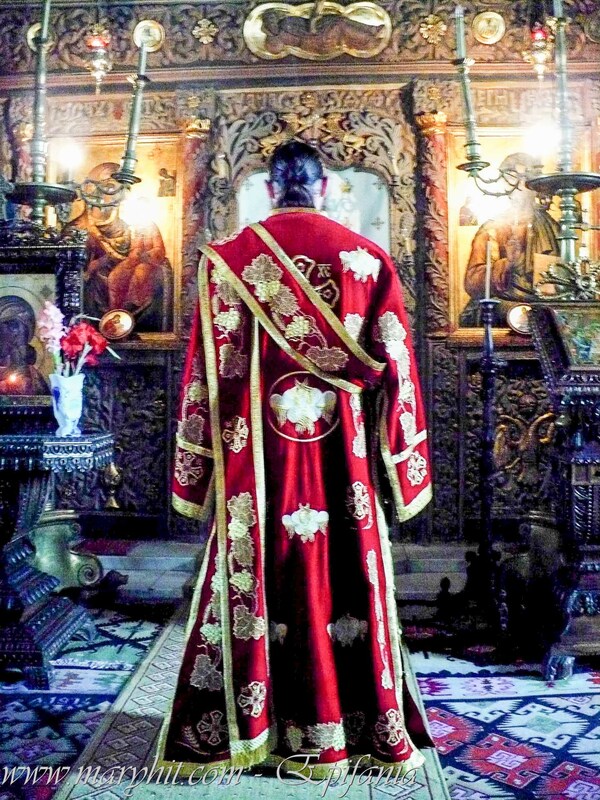 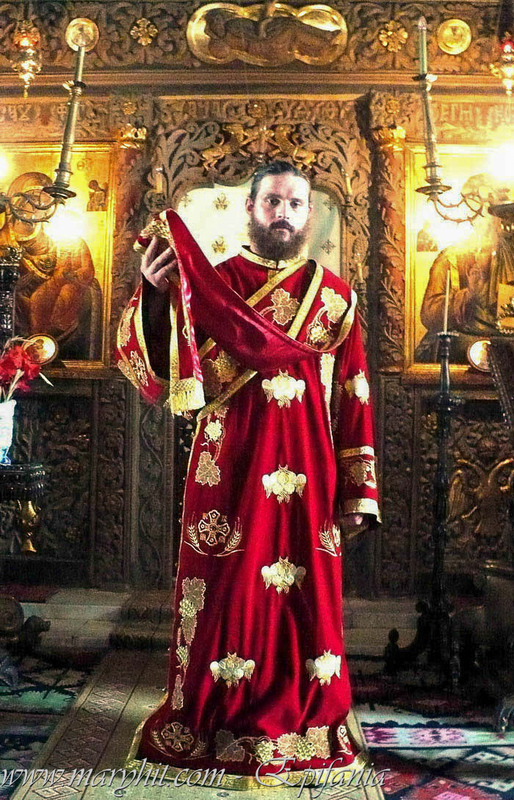 VD005 - Deacon of brocade robe with garnet cross tesutei.Poate be made as stihar children ( subdeacon ) . 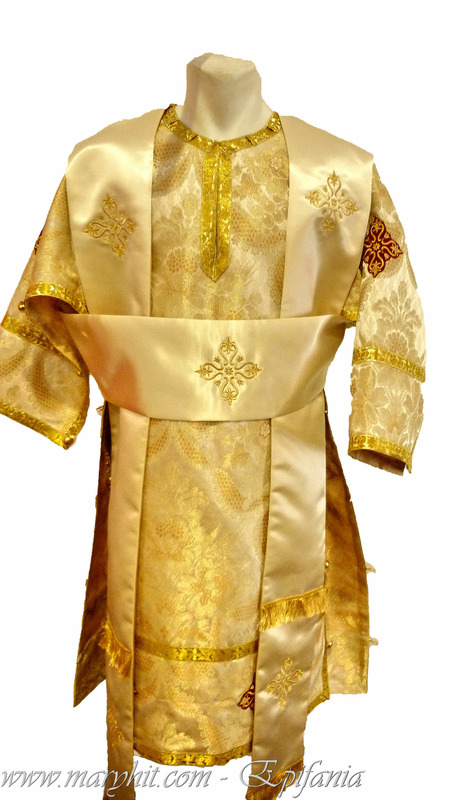 VD006 - deacon vestment embroidered white velvet grapes and spice.Orarul model can be made in any color of your choice.